$2,999.99 & FREE Shipping on orders over $59. $2,999.99 & FREE Shipping on orders over $59 $35. Humidity control in wine cellars plays a major role during the production, maturation and storage of wine and other beverages in wooden barrels. Wine barrels safe-guard the main asset of a winery – the wine itself. The wooden walls of dry, non-humidified barrels will draw liquid from inside it up through the small crevices to the outer surface where it evaporates. Over time, this leads to a significant amount of product loss. For example, a 225L wine barrel can lose 10-15% of the wine volume over one year. A professional humidification of the barrel room allows the barrel wood to absorb water-vapor, the crevices fill out and loss of wine is prevented. A well-kept barrel room is therefore cool, usually around 57-60°F and humidified at about 75% - 80% rH. As with every aspect of winemaking, attention and professional equipment are required. Low humidification may allow the wood to dehydrate and wine will evaporate through it, while overly high humidity can lead to mold and fungus. 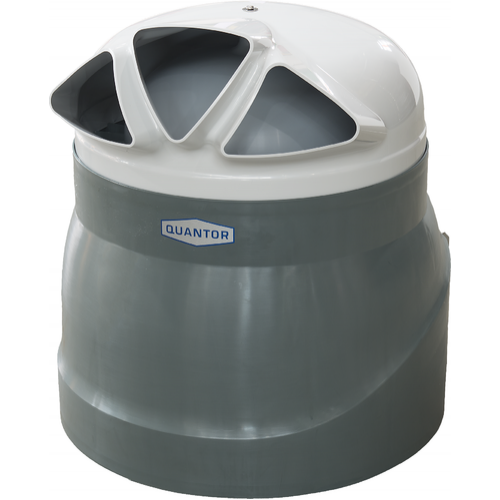 The centrifugal humidifier HumiFix is equipped with a spinning disk that vaporizes water into very fine droplets that can be easily absorbed by the surrounding air, humidifying and cooling a room at the same time. The unit can work either connected to your main water supply with inline cartridge filtration or more ideally to an RO unit. The HumiFix can work at low temperatures (down to 34°F), which is ideal for installation in cold rooms and storage halls.